Don’t you hate it when you’re doing a bomb drink, you plop in the shot and it spills all over you? 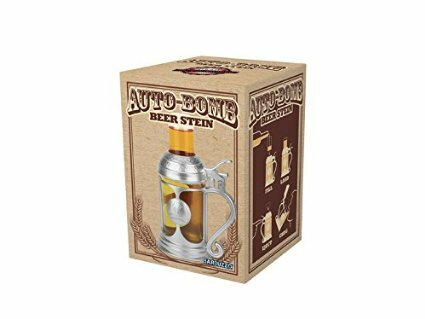 The Auto-Bomb Beer Stein will your best friend. It’s a closed system that makes bomb drinks look really cool and keeps you dry. With a press of a button, you’re on your way to getting auto-bombed. 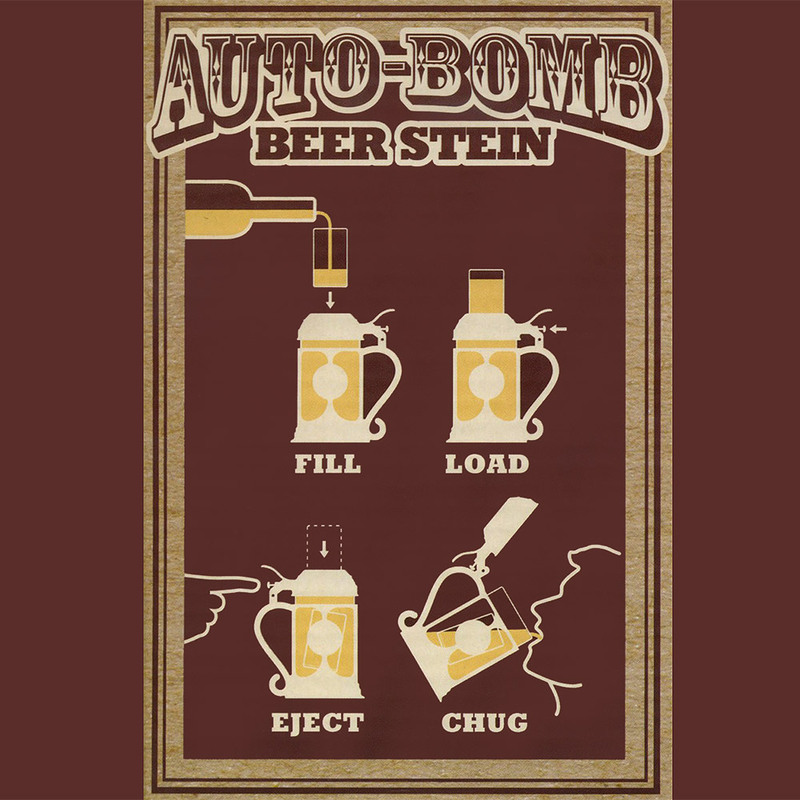 Who would love Auto-bomb Beer Stein? This is the perfect gift for anyone who collects unique steins or likes to go drinking with a little flair. Whomever uses this will be the center of attention as they drink from a stein worthy of a master beer lover. They’ll press the button, drop the bomb and listen to the cheers as they chug, chug, chug. Will this make be cooler at parties? Yes, it will. You’ll at least feel cooler after drinking 2 or 3 of these. It’s a fun party glass and everyone will want to drink from it. 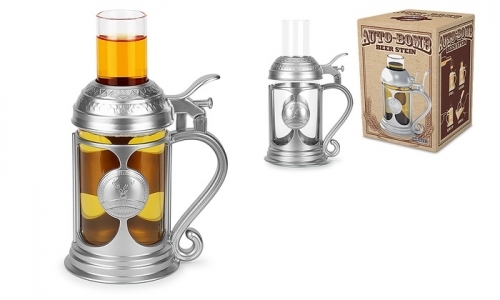 You won’t be able to sit in a corner and drink alone when you got the Aut0-bomb Beer Stein. You’ll be too busy being the center of attention. You just fill the stein with your favorite beer – imported or domestic, we don’t judge. Place the shot on top. When you’re ready, press the button and drop the shot. 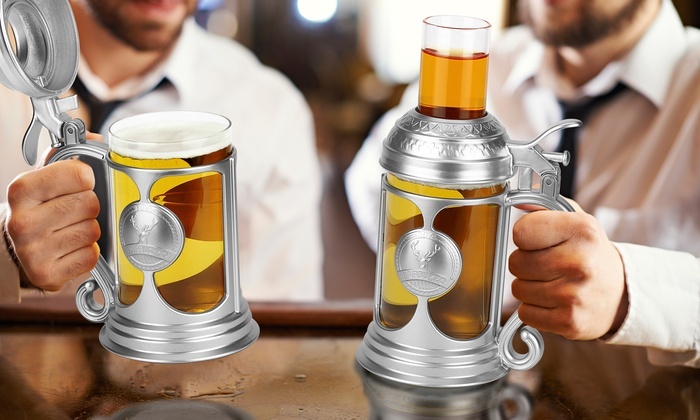 Lift the stein lid and drink like there’s no tomorrow. It’s the best party tool since the beer bong.